We serve a nice, big breakfast buffet with lots of organic and healthy options – a proper hotel breakfast. Breakfast is included in the price of the room. 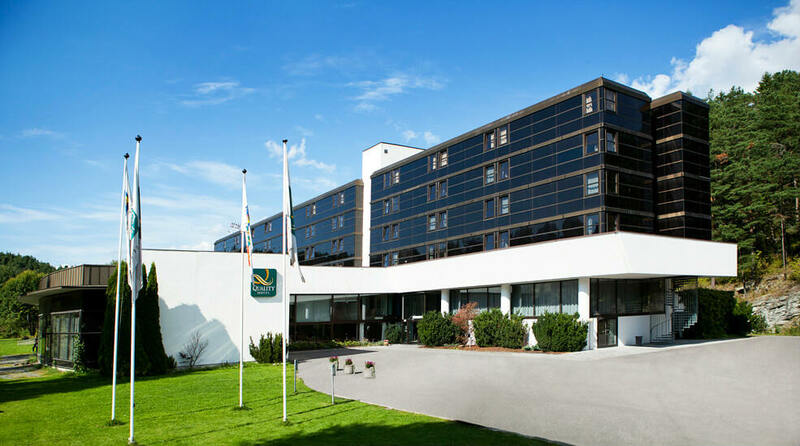 Quality Hotel Entry has free outdoor parking for over 100 cars as well as a large coach park. Parking is free, both for those staying the night and for conference guests. Wanna work up a sweat? Then head to our newly renovated gym in the basement and try our 13 exercising machines. All the equipment is by TechnoGym. If you would rather exercise outdoors, then please contact the reception for tips about nearby hiking and cycling trails. Use your key card to access the gym. Bring your best friend along! Pets are always welcome at Quality Hotel Entry for a fee of NOK 200 per stay. But remember to tell us when you make your reservation, so we can make sure you're properly looked after. Guide dogs stay free of charge, on presentation of identification issued by NAV in Norway or the Swedish Association of the Visually Impaired in Sweden.